Martin's is a small family run business established in 1978. 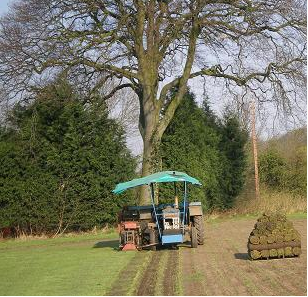 We have over thirty years experience in the sowing and harvesting of turf for the domestic market. We grow our turf locally at Cross Hillocks Farm and customers can come and collect turf or we can deliver. We also offer 2 grades of topsoil screened or "as dug" which we sell loose or in ton or half ton multi bags. You can also collect small bags from the farm.